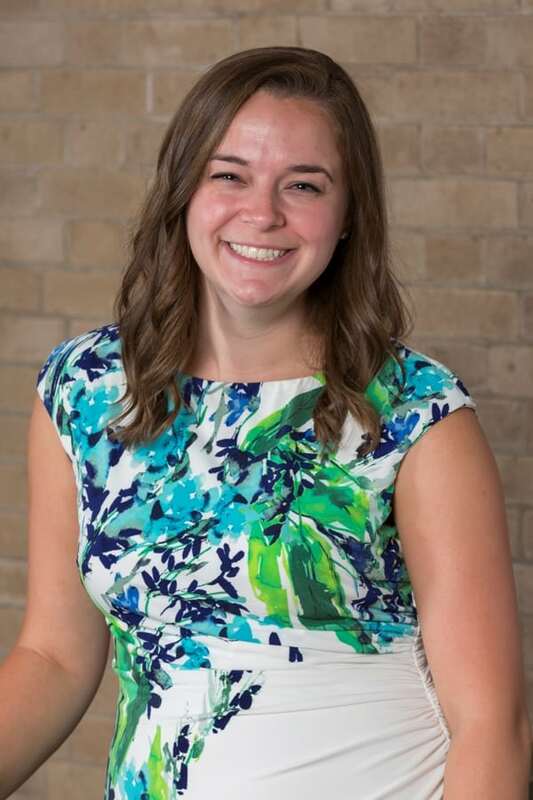 Kathryn Wojcik, Trinity’s director of campus life initiatives and social houses, said her passion for higher education stems from her own undergraduate years. As a head resident assistant at Westfield State University, Wojcik said, she enjoyed the opportunity to develop programs for her peers and the guidance she received from faculty and staff. “I had some great mentors who were really good to me during my college experience, and I wanted to give that back to college students,” she said. After receiving her master’s in higher education from Salem State University, Wojcik worked at Colgate University as an assistant director of residential life. There she oversaw social, cultural, and theme communities similar to those at Trinity. In her second year at Colgate, Wojcik wanted to explore the culture of Greek life and learn how to better help students who were involved. She later was promoted to interim Greek adviser and eventually became Colgate’s director of fraternity and sorority affairs. In the summer of 2016, Wojcik came to Trinity to oversee and advise social houses and Greek-letter and cultural organizations. 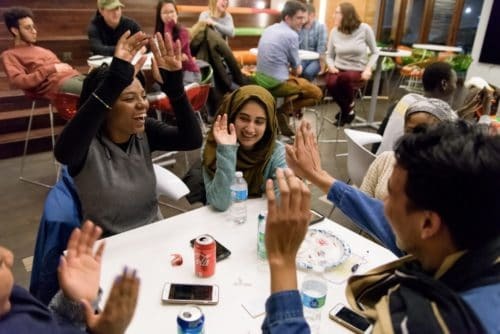 She said she believes that Trinity’s groups provide opportunities for students to explore their own identities and offer safe spaces where individuals can enjoy their campus experiences. Finding these spaces, Wojcik said, also allows students to connect with others who share similar interests. Kathryn Wojcik at dinner with the Inter-Greek Council (IGC) executive board in September 2018. 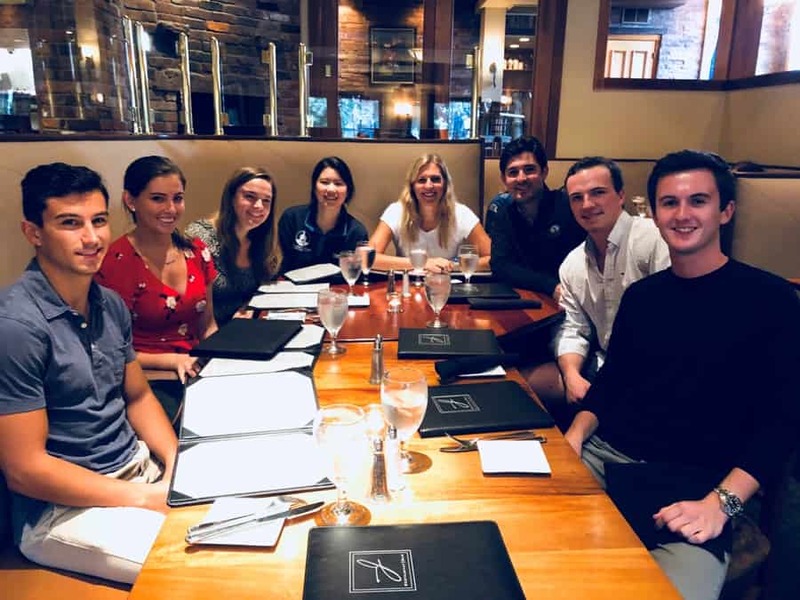 Pictured (left to right) are Josh Tobin ’19, Rachel Brigham ’19, Wojcik, Jitty Synn ’19, Caroline Denny ’19, Sam Buck ’19, Jake Dieterle ’19, and Robby Revera ’19. 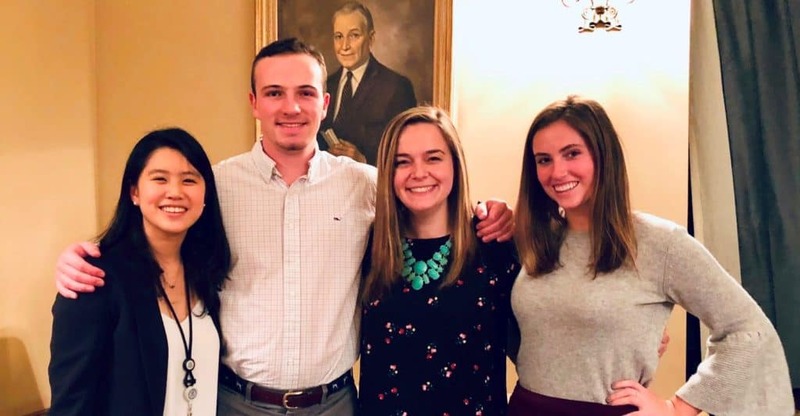 Kathryn Wojcik pictured with Greek life students at a networking event in November 2018. Pictured (left to right) are Jitty Synn ’19, Jake Dieterle ’19, Wojcik, and Rachel Brigham ’19. Back on campus, Wojcik worked closely in fall 2018 with Trinity’s 14 Greek-letter organizations and a Title IX consultant to design and run specialized programs for fraternity and sorority members. “[The consultant] made sure they had a thorough understanding of what Title IX is aside from the Trinity policy,” Wojcik said. “She had them understand Title IX and where they fit in on campus with sexual-assault prevention and being a responsible bystander.” Wojcik noted that she thought the students were receptive to the programming and that she looks forward to the continuation of conversations in the spring.